Life Kids' Preschool provides quality experiences and education to potty trained children who are 3 to 5 years old. Our mission is to provide exceptional care to each child by fostering the spiritual, creative, intellectual, emotional, social, and physical growth and development of our children and to inspire a lifelong commitment to Christ and learning. Life Kids' Preschool is conveniently located at 202 West Hubbard, west of the FM 16 and Hwy. 69 intersection. 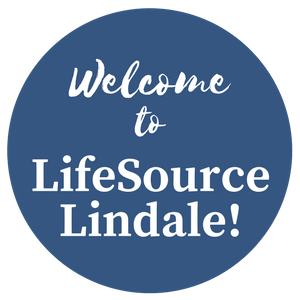 We are a ministry of LifeSource Community Church in Lindale. For more information, call Ashley B. at 903.882.3434. Whether you are just beginning to ask questions about God or looking for a community to sink your roots down deeper, we believe you will find a home at LifeSource. We believe God changes lives and reveals His purposes in the context of learning to live life together. We invite you to learn more about LifeSource.